Control Room Management (CRM) was implemented to ease stress and create direction and structure for those in the brain of the pipeline. However, doing so has added more distractions over time for pipeline controllers, ultimately making it harder to ensure safety. The industry must re-evaluate CRM best practices and turn to innovation so the brain of the pipeline operation can thrive with new ideas and a better environment. Today, pipeline controllers have a great deal of responsibility in their day-to-day jobs. By implementing progressive ideas into existing technologies, controllers can hone in on the most important aspects of the pipeline operation. Maximizing utilization is key when pushing existing technologies and practices to be more efficient. With today's rapidly evolving technology, no matter the sector, the full capabilities of existing offerings are overlooked and replaced without ever being used to its full potential. By further examining the resources that pipeline controllers already use, improvements can be made without implementing new and expensive systems. For example, display systems once welcomed fancy graphics and alarm notifications when they first became available in the early 2000s. Now, these elements have created a distracting and complex system with the fruition of alarm capabilities that were never thought possible. This warrants a push for innovation. In an ideal situation, controllers should be able to understand the overall health of the pipeline with more efficient displays. Moving toward simplicity and adapting to new display practices is especially important when the industry will find itself welcoming a new generation of workers in the next few years. Organizations need to do more than just keep up with regulations, they need to think ahead to this inevitable workforce change. By simplifying current displays with modern technology and making it easier to understand, it will help ease this period of transition. To better explain the importance of innovating to easy-to-understand displays in the control room, let's use an everyday example. If you wear a heart rate monitor during exercise and it tells you that you have a heart rate of 136 beats per minute, it won't mean much to the common person without context. However, if you place that number on a scale that displays the normal range of heart rates for someone your age, even someone who doesn't have any medical experience will be able to understand if the level of exercise is too much or too little. 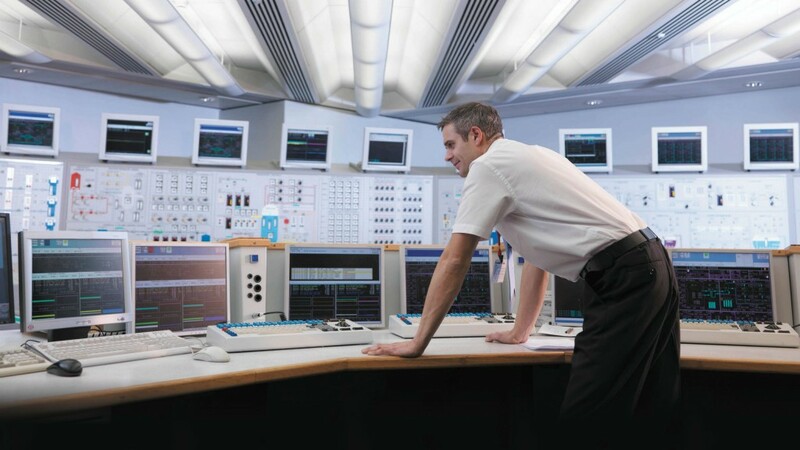 In the same vein, the new generation of pipeline controllers should be empowered by displays that show them the state of the pipeline in context, without an abundance of alarms and graphics grabbing all their attention, so they can easily understand the health of the pipeline without the years of experience held by the wave of retiring workers. Creating a more user-friendly control room will ease this period of transition and make both teaching and learning easier. Another way to improve existing technology in the control room is to utilize the most basic building block of the web, HTML. By making data available on mobile devices, using technologies such as HTML for SCADA data, the amount of data visibility and accessibility will increase tremendously. This transition will make the data more readily available and more user-friendly. Implementing better HTML practices will increase the organizations' ability to access data from mobile devices, just as they would with anything else in your daily life. This would open the door to real-time analytics and access to SCADA data faster than ever before. By providing greater data accessibility, calls to the control room could be decreased dramatically. Controllers spend too much of their time answering calls and relaying data information to workers in the field. With field workers having pipeline data on their mobile devices, controllers would have less stress answering calls and more attention on the mission and functionality of pipeline operations. One of the benefits of further utilizing existing technology is that it will ease the transition of new pipeline workers into the industry and current controllers will be better equipped to share knowledge when they are aware and familiar with practices. Along with utilization, there are opportunities to explore new forms of technology and integrate innovation in a way that will attract and retain the new generation. The Internet of Things (IoT) is one of the opportunities for pipeline enterprises to improve their control rooms though ever-advancing technology. Technology has come a long way and is continuing to develop in the industry. The Internet of Things (IoT) has had a huge impact on the innovative practices of pipeline management with its ability to internetwork physical devices, vehicles, buildings and other everyday items. IoT is a necessity for pipeline control room management and there is a significant opportunity to meet increasing demands within the market. It provides connectivity and brings control and visibility to critical systems while making it easier for the brain of the operation to think more clearly. Collect, measure and analyze behavior statistics of assets. The additional data can be used to help add business value and can be utilized in other areas of the pipeline operation and ultimately create more efficiency. Data storage is another major benefit of IoT, but it still has room to improve in terms of utilization. The increasing amounts of data being collected make the possibilities nearly unlimited for future use, as long as the data is analyzed and not left forgotten. If properly tapped into, the data, previously left unrealized, can provide meaningful information to improve situational awareness for pipeline controllers and will, in turn, provide better insight for forthcoming generations. With new technology being developed and old technology being modernized, the new generation will walk into an exciting industry. CRM has the ability to advance and utilize innovation whether by revisiting and improving existing technology or technology that is new to the operation. Looking at the big picture and recognizing the changes that have to be made in advance, new generations will have the training they need for an easy transition. The brain of pipeline operations is smart and craves the ability to gain knowledge. By providing CRM that only meets regulations, the industry inhibits the potential power of the brain to make the enterprise more efficient, safe and profitable for a more efficient operation. Collin Heggerud is Director of Product Management, New SCADA & Pipeline Applications, with Schneider Electric. Lars Larsson is a Senior Product Manager with Schneider Electric.